Danny Blume is a Grammy and Juno award-winning music producer, mixer, engineer, and musician. I grew up in Ohio surrounded by musicians playing, singing, and stomping feet. Acoustic guitar, banjo, fiddle, dobro, mandolin, bass, and plenty of vocal harmony. At age 8 I heard the Beatles, picked up a guitar, and never looked back. I’ve played in rock bands, acoustic bands, funk bands, experimental bands, electronic bands, pop bands, dance bands, good bands, and bad bands. My day job was touring and recording with Kid Creole and the Coconuts for over ten years. I’ve toured, performed, and recorded with countless artists, including Iggy Pop, The Lounge Lizards, Gavin Friday, Jill Sobule, Level 42, Medeski Martin Wood, Jewel, Lisa Loeb, as well as leading my own bands. I became involved with New York City’s emerging live electronic scene in the 90’s, steering my own experimental electronic group, Liminal, through several records and US/European tours. In 2000 with a partner, I built the recording studio/production company in Brooklyn, NY called GoodandEvil. It was 10 years of record production, engineering, recording, mixing, writing, and artist development. Incredible projects, incredible people. After that I moved to a big old farmhouse in Woodstock NY not far from NYC. My production/mixing studio Hidden Quarry was where I lived and worked for a decade. 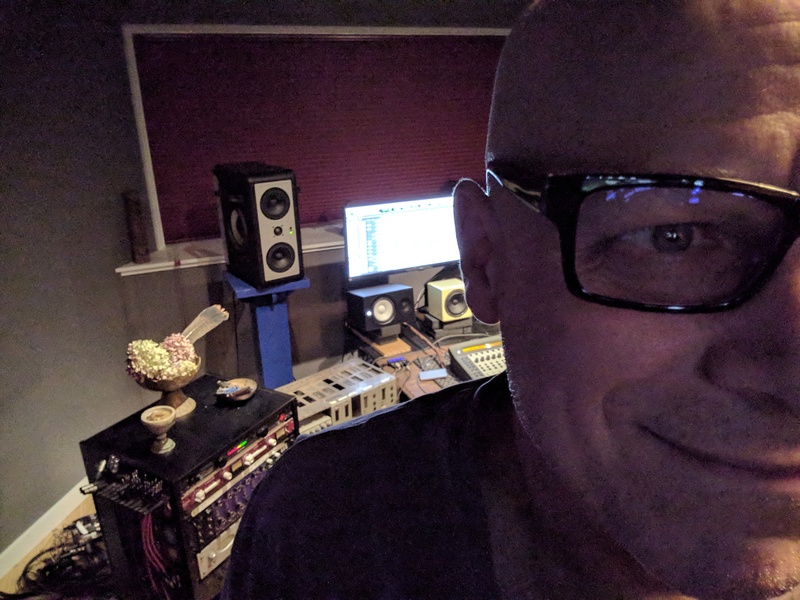 Having outgrown that space and ready to expand, I moved to another house around the corner and built a purpose-designed tracking and mixing studio just how I wanted it. Here I can accommodate full bands with iso and sight-lines in comfortable, beautifully treated rooms. Extra guest bedrooms, a vibrant community of amazing musicians, and an easy commute to the city make it a perfect environment for creativity.